Trying to impress a gal on a date but worried about paying a hefty bill for two? Have no fear fellas! It’s time to start counting your pennies– literally! Spring is here, love is in the air, and Pennybacker’s casual dining in Harrisonburg is here to solve our dating woes. The tiny historic building nestled downtown on East Water Street has been serving our community since the 1850’s! Needless to say, I trusted they knew what they were doing. 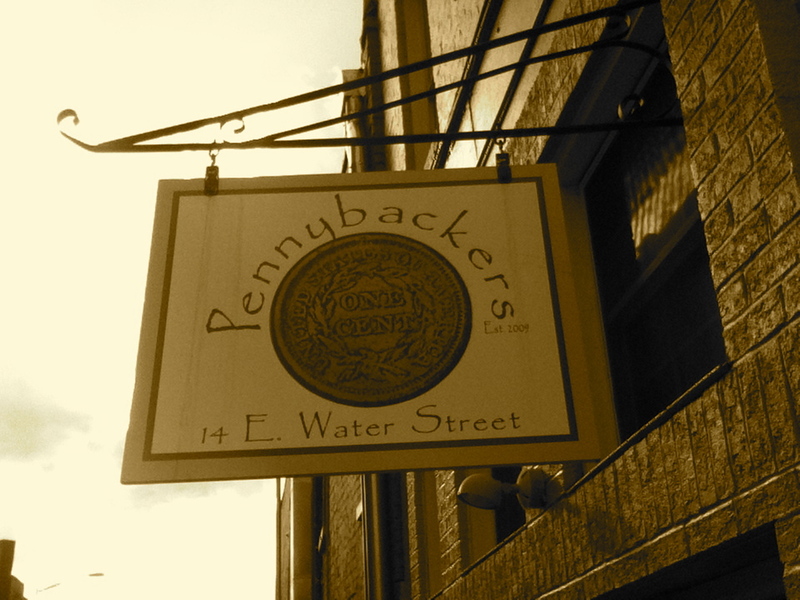 Pennybackers is truly a unique, yet frugal find to take your special someone on a casual, laid back style date. It will save you from having to get too dressed up, and with all meals under $8, it will save your wallet as well. Being the indecisive person that I am, I never have to decide between a salad or a sandwich- I can get both! Melanie C, a JMU senior and frequent diner at Pennybacker’s had nothing but good things to say. “My boyfriend and I were drawn to the homey, cool feel. The best part is they give you a generous portion so I’m always full yet have enough leftover to take home,” said Melanie, who recommended getting one of their ‘amazing’ soups and having it out on their rooftop deck. And don’t worry ladies, if the date is dull, Pennybackers has a built-in back up plan to cure your boredom. All the tabletops are uniquely made from the tail side of pennies, and its your job to find the 10 on each table that are heads side up. Ladies and gentleman, start counting your pennies!